By now, you probably would already know that I have switched to triathlons this year. It’s a new challenge for me, moving from explosive CrossFit to endurance sports. It is definitely out of my comfort zone and to be frank, I’m not a fan of long distances. The longest I have ever ran is a half-marathon and I don’t think I will want to do a full marathon or an ultra-marathon. But a multi-disciplinary sport is something interesting enough for me to try. You can take part in the various swim distances (from 200m non-competitive for kids to 3,000m competitive) or do the AquaRun Challenge. I’m doing the Sprint AquaRun Challenge which consists of 750m swim + 4km run + 400m swim. There are shorter distances and a relay format too. 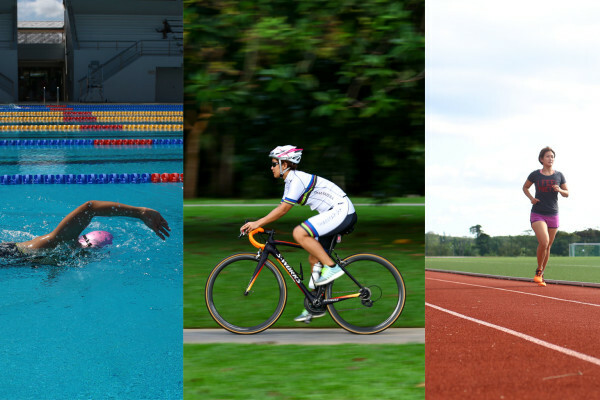 You can do a bike race only, from 5km non-competitive for kids to 56km competitive, or do the CycleRun Challenge. I’ve signed up for the Sprint CycleRun Challenge which consists of 21km cycle + 5km run + 14km cycle. Again, there are shorter distances for the CycleRun and a relay format. You can do a 1km non-competitive run for kids, up to 24km competitive for adults. Otherwise, do the RunSwim Challenge – I’m doing the sprint category of 6km run + 500m swim + 6km run. This leg is the final one, after you have tried the different multi-sport combinations. They have a pretty wide range of categories to cater to varied levels, so there is surely one for you. I signed up for the Standard Distance Triathlon, which consists of 1.5km swim + 36km cycle +10km run. Essentially, TRI-Factor has covered the possible combinations between running, swimming and cycling, so there is no excuse. If you don’t like multi-sport, they even have single sport categories. They cater to kids, totally new beginners (freshmen distances) and the competitive adults too. I signed up for the entire four-leg series, giving each different combination a try. 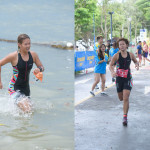 TRI-Factor announced last week that it is launching new races across eight new countries in Asia by 2017 and an app will be released later this year, to allow athletes to connect with other athletes. The two-year Grow Stronger, Live Better campaign by TRI-Factor aims to reach out to over 100,000 athletes with varying capabilities, giving them the chance to compete in a type of race that suits them. With so many multi-sport options and wide range of ability level within each discipline, there is something for every one. TRI-Factor has also entered a strategic partnership with two-time Ironman World Champion Chris McCormack and other professional athletes to provide valuable coaching and advice. TriFactor Triathlon 2016: The race that never was. 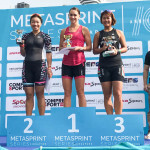 Metasprint Duathlon 2017: The pain is real.